create ideal conditions for future success. As the nation’s labor market continues to grow and adapt to a changing world, so must experiences students have in the nation’s schools. However, many of today’s schools still rely on an outdated model in which teachers lecture from the front of the classroom and students sit passively in rows of desks. Truly innovative schools teach students how to apply content knowledge learned in the classroom to real-world situations while helping them develop the critical thinking, communication, collaboration, and other deeper learning skills that today’s jobs demand. This webinar, cohosted by the Alliance for Excellent Education, Center on Education Policy (CEP), and Council for a Strong America, featured a new research report from CEP on the most valuable skills and competencies required for more than 300 occupations nationwide. It also examined the role that external partners, including business, higher education, and community organizations, can play in helping students develop expertise in the field to supplement the academic content and learning that takes place in schools. A series of toolkits from the Alliance for Excellent Education that offer support and guidance to state education leaders and school district leaders as they consider whether to implement or expand a college and career readiness initiative in their schools and districts. 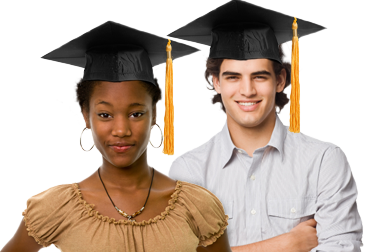 The Alliance for Excellent Education is a Washington, DC–based national policy, practice, and advocacy organization dedicated to ensuring that all students, particularly those traditionally underserved, graduate from high school ready for success in college, work, and citizenship. The Center on Education Policy (CEP) is a national, independent source for research and information about public education. CEP helps Americans better understand the role of public education in a democracy and the need to improve the academic quality of public schools. CEP tries to help citizens make sense of the conflicting opinions and perceptions about public education and create the conditions that will lead to better public schools. If you are interested in renting the Alliance’s facilities for your next meeting or webinar, please visit our facilities page to learn more. Jason Amos: Hello and welcome to today’s webinar: building competencies for careers, preparing students for 21st century jobs. I’m Jason Amos, vice president of communications at the Alliance for Excellent Education. We’re pleased to have you join us today. Seated to my right is Maria Ferguson. Maria is the executive director of the Center on Education Policy or CEP at the George Washington University in Washington D.C. CEP is a trusted, nonpartisan source for education research and analysis for policy makers, educators, and the public. Prior to joining CEP, Maria was actually a colleague of mine here at the Alliance, where she was vice president for policy. In addition to roles at the National School Board Foundation and with New American Schools, she worked as director of communication and outreach services for the U.S. Department of Education’s office of elementary and secondary education during the Clinton administration. Maria, it’s great to have you back in the Alliance’s office. Next to Maria is Air Force Major General Mike Hall. General Hall retired from the U.S. Air Force in 1995 after a distinguished career as a fighter pilot that spanned nearly three decades, beginning with the F106 and ending with the F116. He’s currently president of PFA consulting, a leadership services firm based in Ithaca, New York, and is president and CEO of the Wings of Eagles Discovery Center in Horseheads, New York. We’ll learn more about the Wings of Eagles Discovery Center later in this webinar. General Hall’s also a member of Mission Readiness, the organization of more than 700 retired admirals and generals strengthening national security by ensuring that kids stay in school, stay fit, and stay out of trouble. Next to General Hall, Sam Whiting, Director of Global Engagement for the western region in the Boeing Company. In his capacity with Boeing, Sam develops and executes strategies to cultivate a competitive, diverse, and adaptive workforce. Prior to joining Boeing, Sam was president and CEO of Thrive Washington, an early learning private partnership focused on delivering a comprehensive, high quality early learning environment for every child and family in Washington state. From 2007 to 2014, Sam was responsible for employee engagement and public policy efforts related to education for Boeing in the northwest region. He’s also served as director of foundation projects for Seattle Foundation, where he directed early childhood and literacy programs at Children’s Home Society of Washington and Page Ahead, a statewide children’s literacy nonprofit. Sam’s also a member of Ready Nation, the organization of nearly 2000 business executives building a skilled workforce by promoting solutions that prepare children to succeed in education, work, and life. Both Mission Readiness and Ready Nation are part of the Council for a Strong America, a cosponsor of today’s webinar. A few housekeeping items before we begin. If you’re tweeting about today’s webinar, please use the hashtag #deeperlearning that you see in the bottom of your screen. You can also use that hashtag to ask any questions of our panelists. Or, you can use the question box below this video window. Finally, we’re recording today’s webinar and will make archived video and PowerPoint slides available for on-demand viewing. So, General Hall used to fly airplanes. Sam’s company builds airplanes. I confirmed with Maria before the webinar, she has been on an airplane before, as have I. But that’s not why we’re here today. Today our focus is on preparing students for 21st century jobs and careers. We’ll also talk about the role that external partners, including business, higher education, and community organizations can play in helping students supplement the learning that takes place in schools to better prepare them for college and the workforce. Now, at the beginning of the so-called great recession in December 2007, we saw dramatic shifts in the nation’s workforce. Unemployment rates skyrocketed from roughly five percent to over ten percent. Individuals of all education levels were affected. But individuals with higher levels of education were less affected. Today, ten years after this global crisis, many of the jobs that disappeared during the great recession have not come back. Instead, they’ve either been lost to overseas competition or replaced by technology and automation. According to the Georgetown Center on Education in the Workforce, over 95 percent of the jobs created during the recovery have gone to workers with at least some college education. While those with a high school diploma or less have been left behind. Those numbers are reflected in unemployment rates, which are now much lower. But individuals with higher levels of education continue to fare better. According to the bureau of labor statistics, the unemployment rate in July 2017 for high school dropouts was 6.9 percent, compared with 4.5 percent for high school graduates, and only 2.4 percent for individuals with a college degree or higher. Even when employed, high school dropouts earn about $8,000 a year less than high school graduates and approximately $26,500 a year less than college graduates, based on a 2011 study by the Alliance for Excellent Education. So how can we prepare students for the jobs of tomorrow? New York Times columnist and Pulitzer prize winning author Tom Friedman had said, “If you’re training people for a job that’s already been invented or if you’re going to school in preparation for a job that’s already been invented, you’re going to have problems somewhere down the road.” I interpret Friedman’s comment to mean rather than preparing students for a particular job, you’ve got to make sure that students have the skills and competencies they need to adapt to a changing job market. One way to do that is through deeper learning. Deeper learning is an educational approach that delivers challenging academic standards to students in innovative ways that allows them to learn them and apply what they’ve learned. It includes the ability to understand content deeply, to use that knowledge to think critically and solve problems, to communicate effectively in a variety of media, to collaborate with others, and to be a lifelong learner through the ability to direct one’s own learning. There’re a variety of instructional approaches that can result in deeper learning outcomes, including personalized learning, work-based learning, project-based learning, and others. Although these instructional approached engage students in different ways, all of them incorporate rigorous content grounded in state academic standards. Getting students to a place where they can develop deeper learning competencies requires a shift in instructional and learning practices. Educators must embrace the student-centered approach, where they facilitate student learning, help students uncover knowledge and design their own learning through real world situations, and give students agency in their own learning. It’s an environment that is challenging and engaging and allows teachers to empower student agency, but also challenge students and support those who may struggle. So as the nation’s labor market continues to grow and adapt to the changing world, so must the experiences students have in the nation’s schools. So Maria, you’ve done quite a bit of research on why these deeper learning competencies are so important to insuring that students graduate ready for college and careers. Can you take some time to tell our audience what you found in your research? Maria Ferguson: Absolutely. As Jason said, we were very interested in doing some research that focused on two very key areas in education right now. Social and emotional learning and the development of skills and competencies. And also, just the overall college and career readiness for changing world. So, we set out to figure out a way to look at both labor market data and some of the research around some of these social and emotional competencies, which is not easy to do because from a research perspective, these are two very different worlds. We can talk about how that plays out in policy a little bit later. Our report Building Competencies for Careers, used the U.S. Department of Labor’s own database for its labor data. That’s a database of over 900 jobs and occupations and the work styles, abilities, skills, and competencies that are required for those jobs. We did an overlay with the six deeper learning competencies that Jason had mentioned earlier. We basically created a research link between the two. On this slide, we’ll give you a little bit of a sense of the conceptual map of the project. As you can see, on the left are the six deeper learning competencies. And on the right, are the different categories that the jobs and occupations within O*NET are categorized. They have jobs categorized in both bright outlook and non-bright outlook categories. Bright outlook are those jobs that are expected to grow over time and have more opportunities. And non-bright outlook are jobs that – it’s not that they’re not projected to grow or to die off, they’re just projected to hold steady. O*NET also breaks their jobs down into five zones. Jobs zone one would be the one that has the least requirements needed. Job zone five would be the most. So we created a research link between these two. I’m going to just share with you briefly some of the findings. That’ll inform out discussion as we move on. So, one of the most interesting points that we can mention straight off is that for both bright outlook jobs and non-bright outlook jobs, all of them required at least one deeper learning competency. For lots of jobs and occupations, they required multiple competencies. The ones that showed most, if you will, are developing academic mindsets, learning how to learn, and communicate effectively. These three, across both categories, were really dominant. Developing academic mindsets touches on research that has been done by a number of people: Carol Dweck, Angela Duckworth, and others. Learning how to learn and communicate effectively really speaks to that timelessness that Thomas Friedman was mentioned, when Jason referred to that Thomas Friedman quote. Again here, when you look at the data across all five job zones, you see again, that the deeper learning competencies have relevance across all five zones. It really isn’t just a case of, in the most complicated job that requires the most requirements that these skills and competencies are important. All across these zones, they are important. Again, those big three: developing academic mindset, learning how to learn, and communicating effectively. Of course, the others are important, too. And don’t be confused by down on the bottom there, where you see master core academic content as not being very important at all. The reason for that is in these jobs, they’re speaking more to the skills and competencies, not the content knowledge. The people who make up the O*NET database are presuming that there is a level of academic knowledge for those jobs. So, it’s very important to remember that this data doesn’t represent an either/or of developing academic mindset is most important and it’s not at all important to master academic content. That would not be the way to read this. Of course, the report goes into far more detail. For you research nerds out there, like myself, there’s a very ample appendix that explains the methodology. So, if you have questions about that, you can sort of dig in and see how this was done. Finally, I guess I would just say that it really speaks to the fact that these skills and competencies are just important across all jobs and occupations. There’s really not one place where they belong. They have a presence amongst all the job zones. I think we’ll probably have that point elucidated in your comments later. So, I’ll pass it on back to you. Jason Amos: Great, thanks. Really great research and information. Jason Amos: General Hall, I want to get to you. CEP’s report talks about how labor market research and education research represent kind of two very different and distinct worlds and how the professional world still tends to think of skills and competencies as soft or emotional. I’d love to know what your experience is in trying to find the right balance between what the labor market or the military tells us about – what they tell us and kind of how schools prepare students. General Mike Hall: Well, first of all, I think that the military is the broad social and educational integrator across the entire country. As such, it’s looking for young men and women who embody the deeper learning skills that were just outlined. That skill set has not been readily available nationwide. So, the military and some of the larger employers, Boeing likely among them, have developed very extensive internal training and education programs in order to take the raw material or raw recruits that they’re able to assess and convey to them the proper knowledge and capability to do a full range of jobs. If you look across the military skill sets, it mirrors society. We have everything from cooks to jet engine mechanics to intelligence people to IT folks. So, there’s really a greater gap than we would like to see. That gap is filled in the Air Force by air education training command, in the Army by TRADOC with very, very extensive internal education programs that are essentially post high school graduate programs. Jason Amos: That’s great. Where are – kind of your opinion overall about Maria’s report or CEP’s report? General Mike Hall: Oh, I think it’s terrific. You know, we’ve been beating the drum on this one for a long time because the deeper learning competencies are really about developing a process capability for life. You – it’s a journey, not a destination, to use that cliché. Young people who emerge from public education and some private education with those deeper learning competencies are much better able to adapt over time to the inevitable changes we see in society. Particularly now, in recent decades, the rate of change as technology has become so deeply embedded in practically everything we do, is just accelerated. If you’re not ready to get on board, you’re going to get left behind. When you’re left behind, you become part of those statistics that we’re trying to address. You’re unemployed, you’re disenfranchised, you’re discouraged. We don’t want our young people to be there. We want to give them the competencies that they need to succeed. This is great – I always move from what I think to what I know to what I can prove. The report really moves us down that road. Intuitively, a lot of us have thought that when hands and minds separated in the educational system a century or more ago, that that was – a course correction was needed to bring it back together. This sort of research just really hangs the clothes on that clothes tree. It says, “Yup. That’s right. It does matter.” Now we can trace cause and effect through the education system. Hopefully, that’ll help us in national discussion about how to go about educating people. Jason Amos: Sam, General Hall made the point about change in society – rapid change in society. I’d love for you to talk about what changes you’ve seen in the overall readiness of young people as they begin their careers. Some examples of maybe things that have changed or haven’t changed, in your experience. Sam Whiting: Sure. So I guess, first of all, thanks for having me. It’s great to be here. Thanks for the report, for good reading. I would start maybe by saying, if you just take the aviation industry by itself, as part of a larger advanced manufacturing technology sector, 101 years ago, when Boeing started, all you had to have was willingness. All you had to have was like, “Let’s go learn everything. Let’s do it. We’ll figure it out together.” That worked okay in the beginning. Then, at some point, we had to get to looking for people who actually had the knowledge that they could bring to the jobs to enrich the work that was happening there and the ways in which we could innovate in aviation. So, the knowledge was great. And we really focused on, how do we help four-year colleges build degree programs in engineering and all of that kind of stuff. Then, at some point relatively recently, I would say in the last couple decades, we got to a place where we really thought about aptitude. That it wasn’t – you weren’t going to walk in – you know, in an industry where people work for decades in the same company, maybe not in the same job, you want people who are able to come in and learn. They know how to learn, part of what Maria was talking about. I think more recently, we have really gotten to a place of thinking about attitude. Which is, to me, the other part of this report. That it is both the capacity to be a lifelong learning and the desire to be a lifelong learning. Those, I think, are different things. I think about Ray Connor, who is the president and CEO of Boeing commercial airplanes, which is one of the companies that makes up the Boeing company, who started 41 years ago on the factory floor. Got out of high school, went to Alaska on a fishing boat. Didn’t like it. Came back and got a job at Boeing, like with no experience or training, and was trained on site to do what we needed to do. And now, he’s in the position and is retiring in a few months. We’ll miss him a lot. But he has been a zealot about our work in education around making this kind of transformation because of what he has seen himself. Frankly, you don’t walk onto the factory floor from a fishing boat anymore. We don’t have those kinds of openings now for folks. People do need to come in with more of the knowledge and the aptitude and the attitude to be able to do the job. The other thing – the other example I would give, aside from the personal example of Ray, is: mechatronics is a field that we couldn’t hire people ten years ago with a degree in mechatronics because they didn’t exist. So, all advanced manufacturing, everyone who is working in robotics and doing the work that we now think of as mechatronics in a four-year degree program, they were all home grown. When companies like Boeing realized, “Wow. Those people are all starting to get to retirement age. We need to be ready for what’s going to happen next.” We realized that we needed to take a two-pronged approach to that. One, to keep growing those folks internally with that expertise. But also, to look externally and see how we could create the kinds of programs in two-year colleges and four-year colleges that would lead people to have those kinds of skills that would – they’d be able to come in and not just hit the ground running, but also help enrich the work that we’re doing in those fields. Jason Amos: Let me dig just a little bit deeper on what you were just saying there. Can you talk a little bit about what Boeing is doing now to kind of fill that gap that you were talking about? Sam Whiting: Yeah. So, there are a lot of people at Boeing who work on education issues. I jokingly say all the time that I work with about 150,000 or so, education experts, even though I’m the education strategy lead. So, it’s – a lot of what we do is try to think about, “What are our direct talent pipeline needs?” And, “How are we, through our human resources group, working on those?” We need folks with these degrees from these universities to come to work at Boeing. Or from these – anywhere from a 12-week certificate program, frankly, to a four-year college or beyond that. So, that’s all happening, which is all about what – we are not unique in this way. Corporations do really have to think about their own hiring needs. At the same time, we, as a company, recognize that if the talent pipeline for aerospace and advanced manufacturing is robust, that will benefit the entire industry. We have tens of thousands of suppliers all over the country. Our ability to make sure that they are able to find the folks that they need, helps them be able to work in good partnership with us. So that broadens it to us thinking about from more of a community engagement kind of way. How are we both working with educational institutions and community based organizations to enrich kids’ education experience? As well as, to think about the ways in which we can take things that we used to do really, very internally – where you would come to Boeing and then you would get trained – and externalize those so that they are beneficial not just to our employees, but to others as well. We have gotten to the point now where we really think of the talent pipeline as starting in early learning. We want to be sure that kids are ready in math when they enter kindergarten because that’s a big predictor of their long-term academic success. We want to make sure that they’re engaged and excited about STEM subjects and about exploration that they might learn through environmental or arts education. We want to be able to be sure that they have the kind of career connections early enough that they are graduating from high school with a diploma that will actually get them a job or into anything from a 12-week certificate to a 4-year degree. Then, once they’re out of high school, we want to be sure that we are supporting a robust workforce development pipeline so that folks who are not getting the opportunity right away have the opportunity come back into those kinds of programs and find a living wage job in a high demand sector, whether it’s aerospace or healthcare or any number of things. Jason Amos: General, let me go to you. What have you seen in terms of best practices to help promote and ensure readiness and competency when it comes to education of the workforce? General Mike Hall: Well, I always like to go back to High Tech High in San Diego. That’s something that our audience can google and learn a great deal about. Seeing that institution was very formative to me. first of all, because when I went there, it became obvious that the students were treated as customers. There was real effort to produce a product that met the customers’ needs and requirements. They did that by providing every student with an individual education program that’s just like meeting your customer specifications, if you will. The students there all work together in a common academic environment and they work collaboratively. There were cute little things like, for example, one computer for every two students, to foster the need for collaboration and communication to get the job done. The last thing was, every student in High Tech High has work experience. They understand that they’re going to school for a purpose. That is to acquire skills that will allow them to have a meaningful life where they can earn a wage and all the things that go with that. Now, what’s really great about High Tech High is that you get in there with a zip code lottery. It’s not who writes the best essay. It’s not who scores the highest on the test. It’s who applies and is picked out of a hat, so to speak. You might think, across a diverse metropolitan area like San Diego, that that would be a real recipe for challenge and maybe failure. But in fact, essentially every student graduates and goes on to higher education or to further job training after High Tech High. So, the formula that’s in place out there, I think, is a leading example of how education at a great scale in a metropolitan area or a small rural community can organize focus on students and focus on those deep learning criteria that we talked about. And in the process, make young lives or give young lives the basis for success. Listening to Sam, one of the biggest things that occurs to me, especially in the public school system, when the starting gun goes off at first grade, you either keep up or you’re lost. The reason that Pre-K education is so important is to help prepare young people for this huge change that takes place when suddenly they’re marching K through 12. But if you misstep anywhere along the way, it’s a horrible experience for your self-esteem, for your potential after you’re done with your education. And for that reason, I think we need to do all the things that are spoken to in the report and have been discussed. Because Boeing can’t help you if you don’t show up at Boeing with the basics. If you don’t know how to block and tackle, you can’t learn their play book. To use a football analogy. So that’s why I think that this report and the work that you’re doing is so important. Because it adds to the conversation. It adds to the argument about how we need to organize to effectively educate young people in our country. Jason Amos: Sam, I want to get back to a point you made earlier. And Maria, I’d love to get your thoughts as well. I know you were talking about the divide between higher ed and business. You talked a little bit about Boeing and working with the higher education community. What you’ve seen in your experience, what can businesses do to ensure that students, when they come out, are better aligned – either at the high school level or college – with some of the openings that you have as a business? We actually have worked, for instance, in Washington state with the state superintendent’s office to create a program called Core Plus, which started out as externalized Boeing training. And has developed into a two-year program where the first year of it is manufacturing basics. And the second year – right now there’s an aerospace thread for the second year in there. The state is working with the maritime industry and the construction industry to build those threads as well. So that, a student could attend English or other classes half the day, be in this advanced manufacturing program the other half of the day, and end up not just with a high school diploma, but also with certificates that will let them walk into manufacturing jobs. Maria Ferguson: Yeah, I just wanted to pick up on something both of you have said. That’s that interplay between attitude and opportunity, in that you really need both. You can give students opportunities to develop these skills and competencies, but it’s really important for them to have the internal attitude to make the most of them. The deeper learning competencies really speak to this because when you think about developing an academic mindset and learning how to learn, these are things that tend to be internally focused as an individual needs to sort of develop in themselves. Then, the collaboration and the communication is really external. It’s something that they’re engaging in with their fellow students. Then eventually, professionally, their colleagues. I think in the past – and you alluded to this with the great story about the Boeing guy working on the fishing boat and just walking into the factory, how those things never happen anymore. I do think that life has changed for young people. Maybe they had more opportunities – or maybe we did – in the past, to develop skills and competencies not just in school, but also in our normal life, in our social life, in our civic life. Well, all those things have also changed right along with how industry has changed. So, I think it might be a little bit more challenging for students sometimes to develop these skills and competencies. And maybe, just solely relying on school systems to do that is not the way to go. And you both have said this. Industries need to be part of it. Communities need to be part of it. Parents need to be part of it. The social and civic infrastructure of places where kids live, everyone has a role, I think, to play in helping students develop these skills and competencies and experience them. And obviously, you two are doing your part. Yeah, you. But I do think it is a sense of time, too. That times have changed. What was once a little bit easier for students to do is now a little bit more challenging. I just think that’s a little bit of an interesting overlay to all of this. General, I think you’ve seen this a lot firsthand with your experience with Wings of Eagles. I’d love just to take a minute to hear your experience there and what you’ve seen. General Mike Hall: We have. Wings of Eagles Discovery Center is a science academy in Elmyra, New York. A challenged community where a third of the young people don’t graduate from high school. We felt that we had a role as an informal science organization to partner with the school districts to provide a different perspective and a more comprehensive opportunity for young people to acquire deeper learning skills. We just had 760 go through our academies this summer. What we’ve seen is that when you take them from the lecture room, if you will, and put them out on the hangar floor with a robotic device that they have to figure out and assemble and operate, there’s a real hook there. It’s putting hands and minds together. It’s forcing them to work together, too, to do something that many of these young people, because of their socioeconomic background never dreamed that they’d have an opportunity to do something like that. So, it’s very exciting and encouraging to them. I think that’s part of building an attitude that will carry over into the deeper learning mindset that we need them to develop. Jason Amos: That’s great. I want to shift a little bit. We’ve talked a lot about the business side of the equation and how to get businesses, higher ed involved. We got a question from Susan in Texas. She’s focused on the family side of this relationship. She wants to know how you can educate students and families on careers that they may never have experienced. We talked about how quickly the job market can change. And jobs come forth in a very short amount of time that we never even knew about. So many families are focused on ensuring that they send their kids to a sustainable career that a lot of times they may know is a very valid career for now. I’d love to hear from everyone, if you have thoughts, on how you can help students and families understand the importance of a career they may not know or being able to adjust and have the skills to adapt to a changing workforce. Sam Whiting: I’ll start. We really try – beginning in early learning, actually, to think about this idea of parent engagement and how we are helping – in early math, for instance, helping parents understand the difference between pointing at a three-sided object and saying, “That’s triangle.” And pointing at a three-sided object and saying, “That’s a triangle because it has three sides.” That kind of basic information is so important for parents to understand the role that they can play. I think we can think about that in more content-driven or academic concepts. It’s harder – we forget about that when we get – even, I would say in elementary school. But certainly into middle school, about the role that parents can play expressing their own experience of their own careers, of the careers of other people in the family, and what they know about how folks got there. I have this crazy long and winding road in my career to get where I have gotten today. If you had asked me when I was half my age if I would have gotten this job, I would have laughed in your face. I am not kidding. But, I love it and I’m really good at it. And I think it’s partly my passion around – that was instilled in me by my parents and the examples that they set. And the examples that they brought to me to be able to see what was possible. I think there are a lot of community based organizations, whether they be out of school time programs or whether they be academic enrichment programs or that sort of thing, that really work hard to have career fairs or college fairs or that sort of thing from a pretty early age that helps parents understand the role that they could play. And also helps parents understand what’s out there. We all live within our own experience. So, we don’t always have a very big idea about what’s possible for our kids beyond the top ten careers that every parent – if you’re a lawyer, a doctor, whatever it is – an actuary. Why not be an actuary? But to think about all of the ways in which their children can have a very productive family life where they can – you know, support their family and really enjoy the work that they’re doing and be flexible in the ways in which that can happen. Jason Amos: General Hall, do you have anything to add? General Mike Hall: Well, I – to me, it all comes down to public displays of learning. Every course that we run at Wings of Eagles ends with an opportunity for families, caregivers, guardians, whoever is part of the circle of that young person’s life, to come in and see what they have accomplished. You know, you’re talking about kids who, over a five-day period, day one: we don’t know why we’re here. Somebody’s rounded us up, put us on a bus, brought us out to this place outside the ‘hood that we – we don’t come out here. We’re pretty uncomfortable. We’re facing a challenge that we never thought about. Day two, they’re beginning to get it. Day three, their robots are running around. End of the week, they are justifiably proud as punch to have whoever’s important to them, as the adults in their world, come and see what they have accomplished. And that is mutually beneficial. First of all, for the young person, it’s an affirmation. It’s always an affirmation because the adults, being older, are pretty damn amazed by what they’re seeing. Maybe I could do this. So, I think public displays of learning is a very, very important part of developing the deeper learning competencies. Maria Ferguson: I would just say, from my perspective, I’m fortunate enough to work on a college campus. So I’m surrounded by young people all the time. They’re obviously there and engaging in education and trying to think about their future. I think, to your point, Sam, one of the things you want to impart on all kids is that your career, in some ways, is really a long and winding road. Manage your expectations, because there’re going to be bumps along the way. It may not all go the way you want it to go. This is the lesson, I think, for both kids and parents. But, if you have these basic skills and competencies within yourself, you can probably weather a lot. You may have to go back and get more training. You may have to go back and get more education at some point. It’s not like you do this K through 12 and then maybe for a time afterwards and then you never have to go back and think about what you know and what you don’t know again. All of us do. So I think sometimes, the narrative of how you prepare yourself for work and education is a little – is poorly defined. I think it really needs to be something that you think about throughout your entire life. That’s okay. That’s the way it is. And it’s probably only going to get more so that way. Maria Ferguson: A starting point. Jason Amos: Opportunities out there. So, I want to get to another question. Emily in New York asked about our most vulnerable students. Specifically, she’s asking about students in the juvenile justice system. But I’m going to expand it just a little bit to include students from low income families and students of color. These students make up more than half of all students in the nation’s K-12 system, but they often face the greatest challenges, as many of us know. Their graduation rates lag behind their peers sometimes more than 20 percentage points in some states. They often attend some of our lowest performing schools. Their teachers are frequently new to the field. They lack access to resources and veteran teachers who can provide support and guidance. So, I’d love to hear from our panel about how we can better prepare these students for the workforce. And General Hall, you mentioned earlier that a lot of the kids who come through your program come from some of these really historically underserved communities, just facing a lot of challenges. I’d just love to know what you’ve seen and how you’ve kind of helped those kids get opportunities that they may not get in a traditional school system. General Mike Hall: Well, a lot of our students do come from challenging backgrounds. But I think that makes them quick learners. If you can put them in the right environment, they’re used to having to pay attention on a daily basis just to get by. When you can put them in a safe environment and offer them challenges that allow them to develop their capabilities in and around skill sets that society values, that society will employ them to do and compensate them for their work, they respond very well. I think one of the biggest things is confidence. A number of years ago, a young woman said to me that that was the most important attribute. I hadn’t really thought about it at the time, but you know, she was right. If I go into a situation in school feeling poorly about myself, maybe malnourished that day because of the circumstances I came from, and I don’t have any confidence, I’m set up to fail. So what we try to do at Wings of Eagles is give them success and build on success. When that happens, you have a much greater capacity to overcome those bumps that you spoke of in life, because we all have them. They either take you out or you triumph over them. Giving young people a measure of success built around those deeper learning principles is a terrific way to empower them to success across the board in their life. Jason Amos: That’s great. I want to get to another question from our audience. This one comes from Jen in Washington. She’s talking about technology and access to jobs. How do you think mobility and secure, widely accessible Wi-Fi will impact the human capital available to businesses? How will businesses shift career opportunities to accommodate talent that cannot afford to live and work in the same area? And obviously, we’re seeing a lot of this already. I’d love to know what thoughts any of you might have on what you’ve seen or what you might expect to see, just through technology, through Wi-Fi, through kind of jobs following talent. Sam Whiting: I think we have seen a lot in the computer sciences and in high tech and in that – Boeing, we think of ourselves as high tech. So we divide it up a little. But there is a lot of mobility, I think, in computer science work where you see a lot of companies that might be based one place, have offices in five places, but then have employees in 500 places. I think that’s been a huge boost to opportunity, particularly for populations that are historically underrepresented in high tech fields. I think – there’s always the other side of that, which is the ‘touch labor’ side of it. A lot of advanced manufacturing has to occur someplace. So, it’s been interesting to see in the aerospace industry or in other manufacturing industries, how the same kinds of technologies can help teams collaborate. For instance, at Boeing, we have two innovation centers. One in Sheffield, England and one that we’re setting up in Portland, Oregon that are part of the same group that will work together to help provide a skunk works for – which might be a term that I know and isn’t a commonly used term. But where I come from, it’s a commonly used term. Place where folks who are working on the factory floor can take a problem offline, try to figure out what it is, and how they can fix it very quickly and not disrupt the production line. Then, come back and implement a solution. The fact that we are able to do that not just in two different cities in the U.S., but also on two different continents, is all the result of the kinds of technological advances that we’ve seen and the access to that technology that allows more and more of our young people to gain some exposure to and interest in working with those technologies over the course of their career. Maria Ferguson: I was just thinking, an example of the skunk works example, at least for me, I wrote down social emotional technology. We’re talking about how the technology allows them to engage in multiple locations. But the actual act of the engagement is still so much tied to the social and emotional skills. So, there’s really this connection that technology allows for so much, but it still doesn’t change the fact that some of these things are really just basically about what’s inside a person as well. I think that the interplay between the two really does have to be thoughtful. Technology simply can’t do everything. There’s still people involved in all of that technology who need tending to and nurturing and all of this kind of thing. It’s almost like in order to maximize both areas, you need to make sure that they’re in lockstep together. Sam Whiting: Yeah, I would even say that that kind of technological solution amplifies the need for people who have those kinds of social emotional skills that will allow them to work well on teams and communicate effectively and all of those things. Maria Ferguson: Right. I’m sure that’s true in the military as well, yeah? General Mike Hall: Well, actually my time in the military preceded a lot of this, but not my time in education. One of the things that we do is spend a lot of time talking about the balance between virtual and reality. One of the great programs we have at Wings of Eagles involves importing a space mission from the Challenger Space Center in Wheeling, West Virginia. We have our mission control room. And they have their mission control room. And the students – there are a number of scripted programs, but one, for example, space station alpha. The astronauts on the space station are suddenly going to be subject to a large solar flare. The students have to figure out: is that a problem? And what are we going to do about it? The solution, which they don’t know, but almost inevitably come to, is to take all the water supplies on the space station and put them on the sun side of the structure to filter the radiation out before it gets to the astronauts. They do this working from consoles, much like we’re sitting here this afternoon and looking at a screen. At the other end of the screen is a mission director from a long ways away that’s running the script for them. So they, “We’re gonna try this.” They try this. And after a few minutes, the mission director comes back and says, “No. there was no change. You’ll have to try something else.” And the ability to do that adds an element of excitement, but preserves the communication skills at the local level. Getting that balance is a real challenge. And I don’t think we’re even close yet. I think the potential of technology is way, way greater today than that actuality of what we’re seeing the classroom. I hope that’s an area that develops – and I’m sure it will – over the next few years. Sam Whiting: I thought that you were giving away what they needed to do to solve the problem. Jason Amos: Maybe they’re not watching. Jason Amos: I think that’s phenomenal. It reminds me, when I was a kid, they had these choose your own adventure books. You’ve got a rocket that’s exploding, what do you want to do? You do A or B. You turn to page B and it’s like, “Oh, your rocket exploded.” This sounds like a lot more kind of – you’d be a lot more engaged. Not only to have that technology involved, but someone being remote and working together. I think that’s just a phenomenal experience. General Mike Hall: So, we’re building on that. We got a NASA grant and we’re building the first school on Mars. The nice thing about building the first school on mars is you don’t have to pattern it after anything here on earth. You just have to look at the circumstances of mars, the environment that you live in up there. And you create your school and the subjects that you need to master in order to live on Mars. This is kind of a variation of the theme of space ship alpha. We’re going to have an actual facility that you go into which makes you think you’re on Mars, that’s our goal. Then you’re going to be presented with a whole variety of problems. And Mars is terrific because it’s smaller than Earth, which means it cooled more quickly. So it’s really an advanced age Earth. So you can look at Mars today and say, “Well, sometime in the future, this is what Earth is going to be like unless we do certain things.” Very, very good environment to spark creativity and excitement on kids. Because we’re not in our own backyard, we’re on Mars now. This is cool. Jason Amos: That is pretty cool. I want to go back to the point about Wi-Fi. And we’ve got another question. This one comes from Lane in Nebraska. He’s essentially asking about the challenge of rural schools where you often, you don’t have the high-speed internet connections. You may not have a lot of businesses – large-scale businesses who can come in and partner with you. I grew up in a very rural part of Virginia. I remember I was part of this internship program as a college student and they would connect you to a local business that was participating in the program. Where I lived, there weren’t any businesses participating in the program. So I, essentially, didn’t get to do anything that summer. I’d love to know what you’re doing in rural schools or what you’ve seen in ensuring that kids in some more rural areas have access to these really rich learning environments. Sam Whiting: So I guess for us, there are two ways in which we would answer that question. When we think about our education work, one of the other things that we think is really important is that we’re engaged in the education policy debate. Because you know, it’s a very large public system. And the public system is really a lot of what will be able to help us equalize the opportunities that are available to students. It’s not something where we have seen the kind of success that I think we would all like. But we have seen some pretty significant success over time. In terms of the transformation of the public school system to be more adaptive and more focused on 21st century needs and skills and realities. So I think that’s part of it. I think also, the more that, for instance, in our case, I mentioned earlier that we have this supplier base of all of these thousands and thousands of companies that we work with. They are all over the country, in every state. We work as much with them through associations or through other organizations to engage them to help broaden the opportunity that’s available. So that they may be a company of 100 people, not some 150,000 people. But if we can help provide lessons from what we have done and provide support to organizations that can reach out to them as well, it’s a way in which we can try to help reach for communities where we don’t have employees that want to go to a school. You know, we have trouble getting our employees to go to a school that’s 45 minutes from our factory, much less half-way across a state. So we have – we are always trying to be creative about who we can partner with, who can have more of that kind of reach. Because everything we’ve talked about, including incarcerated youth, kids of color, it’s all about the opportunity that needs to be available to them that we – it’s incumbent upon us as a society, as a civic being, to be able to provide to them so that they can have the same kind of opportunity. Maria Ferguson: Well said. It’s a unique challenge. I think rural communities, especially when it comes to the things that we’ve been talking about today, it is hard. I mean, technology can certainly be a friend and help things. The kind of connectivity that you were talking about in some rural communities where kids can take AP classes from a university that may be 100 miles away. But they can experience it virtually. These are all interesting innovations, but the civic aspect of rural life can be so robust in some ways and then terribly needy in other ways. So, it is a thorny issue, especially as we’re facing a more complex global economy. How do you really give these kids the kind of access they need so they don’t have to leave? That’s the other piece. but I do think that the best solutions are ones that are made with a tremendous amount of input form the local community. It’s not something that communities need done to them. They need to be participating in it. Jason Amos: Yeah, and I think that’s a great point. That is one of the really tremendous advantages that rural communities bring forward. It’s the relationships. Because they’re typically so small, the teacher knows the family because it’s a small town. They know the brother, they knew the sister. Maria Ferguson: The principal bus driver. Jason Amos: Yeah, the principal’s the bus driver. So I think it is an opportunity to build a lot of these relationships that we talked about that are so important between students and teachers. So there definitely are advantages to rural areas. Obviously, challenges as well. Technology can play a role in helping to alleviate that. But sometimes the connectivity simply isn’t there. It’s a continuing challenge, as you say. So we’re running low on time. In a minute, I want to go to our panel and get any closing thoughts that they might have. But before we go, I did want to highlight a couple of new resources for our audience. First is a new website at deeperlearning4all.org that you see at the bottom of your screen. It contains action steps that business leaders, high education community members, K-12 educators, a lot of people – and external audiences that we’ve talked about today – that they can take in their schools and communities to implement deeper learning and better preparedness for college and career. Again, the website’s at the bottom of your screen: deeperlearning4all.org. Second, the Alliance for Excellent Education today released a series of tool kits that offer support and guidance to state education leaders and school district leaders as they consider whether to implement and expand a deeper learning initiative in their schools and districts. There are several components to these tool kits. First is an overview that provides kind of the basic content and other basic information on deeper learning. It includes a section on equity that explains the moral and economic imperatives of ensuring that all students have access to deeper learning, especially students from low-income families, students of color, and a lot of the other students from traditionally underserved communities that we talked about. Second is a section on assessing deeper learning that describes the different approaches to using and communicating student assessment data that focuses on deeper learning outcomes. And the last section is focused specifically on deeper learning in high schools. It includes information on policies and procedures and practices, but also how school district leaders could use time, can use school space, can use digital literacy and technology to enhance deeper learning. The tool kits available at all4ed.org/deeper-learning-toolkits that you see at the bottom of your screen. And before we close, I want to just give our panel a chance to make any parting comments for our audience, if you will. Maria Ferguson: I’ll do, encourage people to go to the CEP website. www.cep-dc.org so they can access this report. We have additional resources as well. Everything is free. You can look through this research and others. It’s great that we have folks from the education space here and the business community here. I would argue that other aspects of our civic society need to be involved in this discussion as well. It’s an important one and this is a great first step. So thank you. General Mike Hall: I would say to everyone that our discussion this afternoon is extremely important. You might wonder why 600 retired generals and admirals, as part of Mission Readiness, hold education as their number one national security threat. And the answer is simple. We are just not doing a good enough job educating our young people today. Over two-thirds of whom are not qualified to serve in the military. And if you’re not qualified to serve in the military, what else aren’t you qualified to do in society? That’s what we have to do. Each of us has to pick up the yoke here and work to improve education in our country or our country will not be what it is in the future. Sam Whiting: Yes, I would add to that. I think the more that we can recognize the importance of research like this in defining what we’re talking about, the more effective we can be in making change. I think we talk a lot about 21st century skills or deeper learning or knowledge, skills, and ability like we – all of the ways in which we want students to be prepared beyond core academic content. Then we turn to the education community and say, “Okay, do that now.” It’s really important that we stay engaged, all of us together, as you all have been saying, so that we share common understanding and we share a common purpose in how we can move forward to make sure that our deepening knowledge about what’s important in the workplace can inform our deepening knowledge about what’s important in educational environments and can help all of us together move in the same direction. Jason Amos: That’s great. Thank you. Thank you all for being here today and for participating in such a very vibrant conversation. So again, thanks to our panel for joining us. I also want to thank you, our audience, for joining us. You had a lot of questions that came in today. I tried to work them into our conversation. I hope that we were able to address a lot of those. If you missed any part of today’s webinar or you want to watch it again. You can watch that at all4ed.org/webinars. We’ll have the video up by tomorrow morning, as well as Maria’s PowerPoint slides. So, thank you for watching, have a great day. 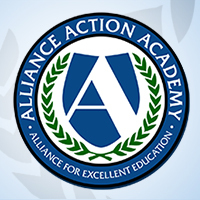 Welcome to the Alliance for Excellent Education’s Action Academy, an online learning community of education advocates. We invite you to create an account, expand your knowledge on the most pressing issues in education, and communicate with others who share your interests in education reform. NOTE: Username is displayed publicly and cannot be changed.